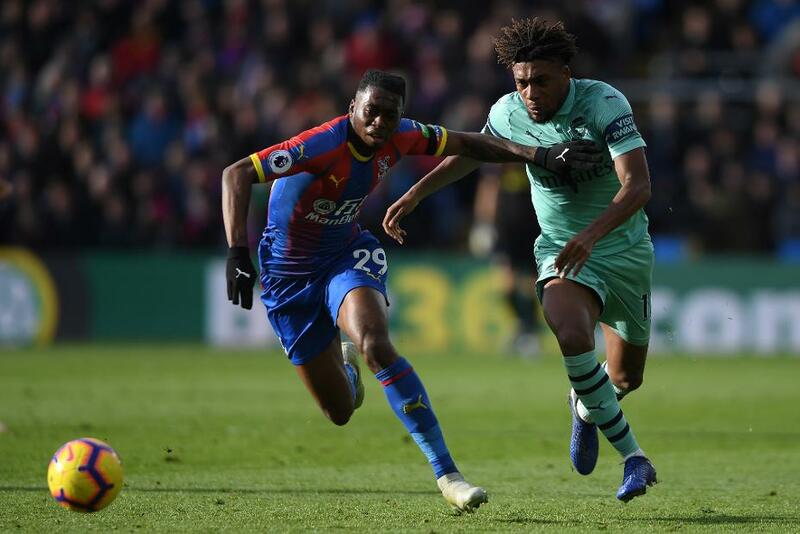 Aaron Wan-Bissaka is one of the most rapidly improving players in the Premier League, says Alan Shearer. The right-back was outstanding as Crystal Palace drew 2-2 at home to an Arsenal side who had earned seven consecutive PL victories, propelled by a prolific attack. Shearer says Wan-Bissaka is going from strength to strength as he included him in his Matchweek 10 Team of the Week. "He is only 20 years old and has played just 16 Premier League matches, but he is getting better all the time," the Premier League Champion said. The Brighton & Hove Albion goalkeeper performed brilliantly with a string of saves to preserve his side's clean sheet. He was solid at the back, showed pace and an assurance that belied his years. He is only 20 years old and has played just 16 Premier League matches, but he is getting better all the time. The commanding centre-back was resolute as the Blues kept a clean sheet at Turf Moor. He stood up to everything and was very strong in what is becoming an outstanding season. Stones has been instrumental in City's six straight clean sheets and was authoritative once again in that impenetrable back-line. The Spaniard helped earn Chelsea a clean sheet and produced an assist in an excellent attacking display. Wow! The Argentinian crowned a superb performance with a wonderful individual goal. Just like last week against Burnley, the Brazilian bossed the middle of the park against Spurs at Wembley Stadium. Barkley impressed again with another goal and pair of assists. He has now scored in three consecutive matches. He showed his incredible speed and great determination to get back in the goals as Liverpool chalked up another win. The Cherries front man has enjoyed an impressive start to the campaign, and his two goals at Fulham were further evidence of a forward in great form. The skilful winger was a constant threat with his dribbling, pace and control. His strike was a fantastic hit. Howe keeps on delivering results with an AFC Bournemouth side who are both winning and playing attractive football. They simply blew Fulham away.